Based in Kunming, the capital of Yunnan Province is a new commercial and tourist complex. 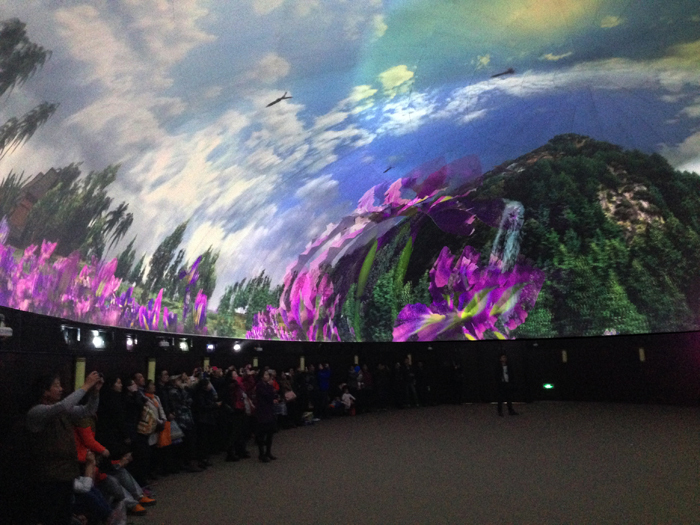 Colorful Yunnan - The City of Flowers complex has a floor space of 240,000 square meters with the main attraction being the Atrium in the projects main exhibition space. 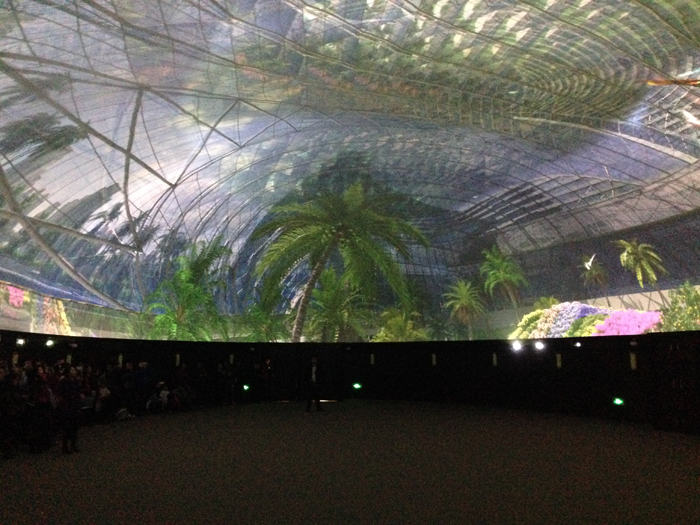 Located here is an immersive dome measuring 28 meters long, 15 meters wide and 4.8 meters high which is currently Asia’s largest elliptical dome. 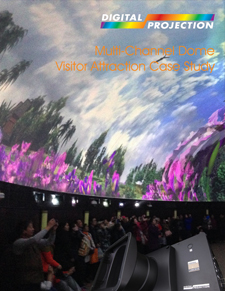 The Dome can accommodate 600 visitors at a time who are immersed in stunning natural scenery from the surrounding areas. 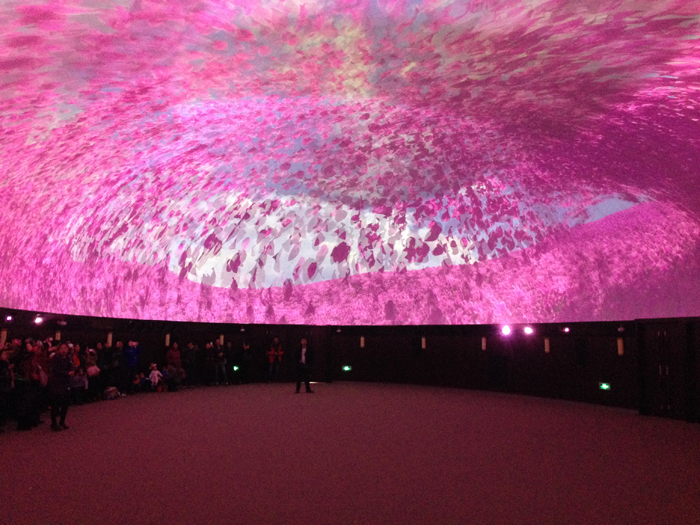 It uses 14 edge-blended HIGHlite Laser projectors to illuminate the huge surface area with 10 projectors used on the perimeter and 4 on the cap. The video content runs in a 15 minutes loop and operates 12 hours a day. 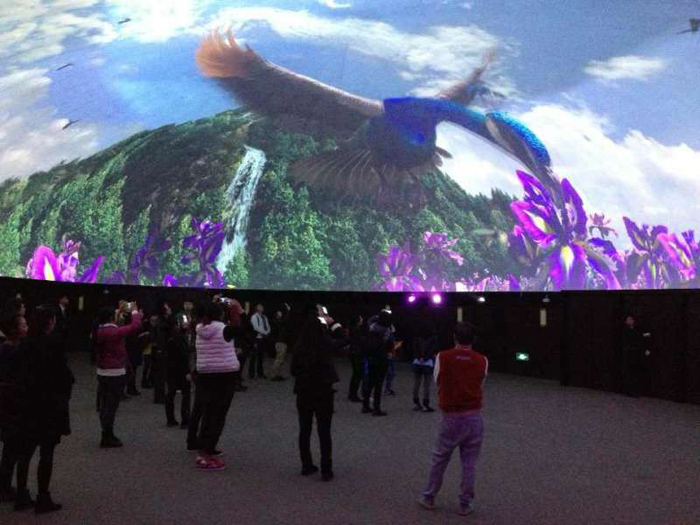 For this reason, the venue needed projectors with a long life light source to ensure the attraction runs smoothly. 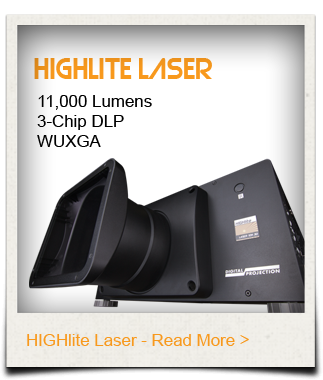 The HIGHlite Laser was chosen due to its 20,000 hours of illumination and associated reduction in maintenance and down-time costs when compared with traditional lamp based projectors. The colour stability offered by laser projectors was also a key requirement, ensuring that the image was uniform throughout the whole installation. The projectors also had to be flexible enough to be mounted in a variety of extreme orientations, which aren’t possible with traditional lamp based projectors. 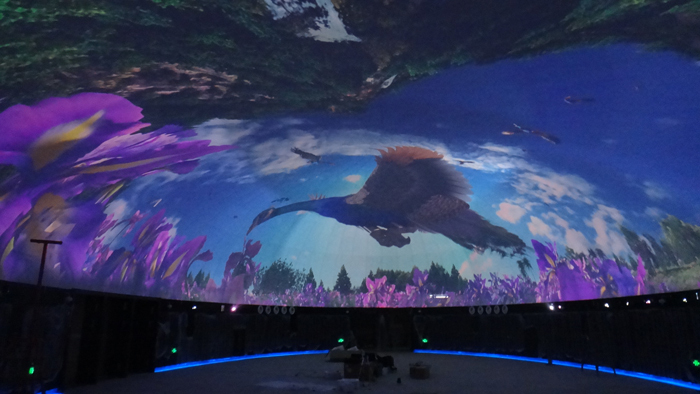 The HIGHlite Laser offers the flexibility of 360-degree orientation so were an ideal solution for this dome.